Last year, with all the controversy around Volkswagen, another German car maker—Daimler (the makers of Mercedes Benz) avoided the glare of the spotlight while skirting (perhaps with good reason), European Union (EU) F-gas directives. This has led the EU to petition the European Court of Justice against Germany for allowing Daimler to use the restricted refrigerant—HFC134a. 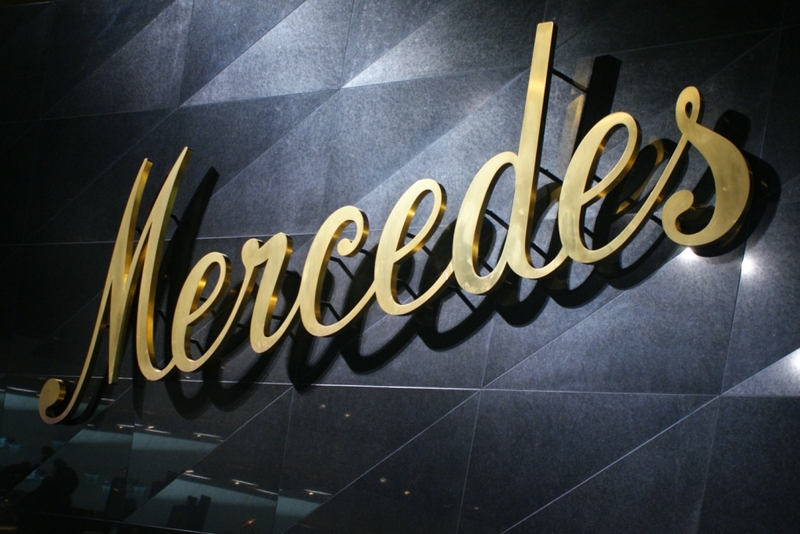 In 2011, citing safety concerns with Hydrofluoro Olefins (HFOs), Daimler had said that it would develop Carbon Dioxide (CO2-based MAC (Mobile Air Conditioning) systems for its cars by the beginning of 2017 to comply with the EU regulation for the use of low GWP (Global Warming Potential) <150 refrigerant in all new cars. Daimler, however, has since introduced the “controversial” HFO (in addition to CO2)-based MACs in its car to meet the EU standards that will apply to all cars from 2017, with added safety features. According to the EU MAC Directive of 2006, all new car models need to use MAC refrigerants with GWPs lower than 150 by 2013 and all new cars by 2017. However, Daimler had continued its use of HFC 134a (A super-greenhouse gas) as a refrigerant in its air conditioning systems until late 2015 in violation of EU laws. It, however, claims that it has good reason for not adhering to the EU F-gas regulation, as the only refrigerant —HFO 1234yf (patented by Honeywell and DuPont) that currently meets the GWP<150 requirements, has been found not to meet the safety requirements crash tests performed by Daimler. Daimler then successfully petitioned the German government for an extension on the implementation of the law to allow it to introduce new models of their cars with the old (HFC134a) refrigerant by labelling them as new versions of older models, thus skirting EU law. Late last year however, Daimler announced the use of HFOs in its MAC systems with additional safety features to address the safety concerns cited earlier. The EU MAC Directive has led to a significant number of auto manufacturers switching to the new HFO refrigerant in the EU and the US. This change in refrigerant may seep through to developing markets like India and China. The EU directive however, aimed to incentivise development and deployment of natural refrigerants in the MAC sector in the EU. According to industry representatives, the EU MAC directive was meant to promote the use of natural refrigerants like CO2. This led to some push back from the auto industry as they would need to change their manufacturing platform to accommodate such a change. Meanwhile in 2007-08, Honeywell/Du-Pont came out with their new low GWP HFO refrigerant, which could be used with minor technical changes. No conclusive evidence was found from the environmental/health toxicity studies done on the refrigerant. This led to the widespread use of the refrigerant in the EU. Currently, there are about 500,000 cars from 44 manufacturers using HFOs in Germany. The US EPA recently included (and came out with safety standard) HFO 1234yf in their list of new refrigerants under the Significant New Alternative Policy (SNAP) initiative. There is however no law currently requiring US auto makers to change to the low GWP refrigerant. However, US car makers must meet the emissions requirement of the Corporate Average Fuel Economy (CAFE) standards (These mandate a 40 per cent improvement in fleet fuel efficiency by 2016) and the use of this refrigerant will help them meet these goals. According to most industry experts, the price of HFOs is slated to be about 8-10 times more than the currently-used HFC 134a. The major reason for this high cost is the IPR protection that chemical majors, Honeywell/Du-Pont have on this refrigerant. However, the hope is that the cost of HFOs will come down as consumption drives economies of scale. Some experts believe that the price reduction won’t be significant as the process for the manufacture of HFOs is cost and energy intensive. Perhaps once the patents expire (or are otherwise invalidated) and there is more room to innovate for other companies, the costs can come down further. In 2011-12, Mercedes-Daimler was in the process of converting its cars from HFC 134a to HFO1234yf. However, during independent tests performed by Mercedes, the new refrigerant showed signs of excessive flammability. As a consequence of these results, Mercedes recalled all of its vehicles that had been sold with R1234yf refrigerant. They also made it clear that due to safety issues related to the new refrigerant gas, they will continue to use HFC 134a. Instead, Mercedes decided to undertake R&D for CO2 MAC systems, which according to Daimler officials, should be ready for large scale commercial deployment by late 2016 (thus adhering to the directive). Other car makers and industry experts however believe that Daimler is being overly cautious in its safety concerns and have gone ahead with the introduction of HFO refrigerants in their cars. HFOs are unsaturated, flourinated hydrocarbons. This means that it easily dissociates and has a very short life span in the atmosphere. However, it dissociates into Trifluoro-Acetic Acid (TFA) and Hydro-fluoric acid (when it burns) when it dissociates. These are highly acidic chemicals which may lead to severe health and environmental impacts. Studies on the precise impact on human/animal/plant health however have been inconclusive.